From Celine Dion to Frank Sinatra and Natalie Cole to Bette Midler and Elton John to Billy Joel and The Eagles, every song is just as meaningful and enjoyable now as the first time you heard it. Timeless Favorites includes standards, pop hits, ballads, movie themes, and much more from the 1960s through today. Throughout the week, hosted by Robin O’Brien, Steve Kelly, Angie Michaels, Tim Nelson, and Jim Benedict. Have you ever witnessed a special act of courage or sacrifice that makes you want to just stand up and applaud? Or met a person whose uncommon kindness or discipline brings tears to your eyes? Grace Notes is a special program on Life 103.1 that celebrates those acts and those people. Like the sparkling embellishments that are grace notes in music scores, the individuals featured are some of those who in some remarkable way, without fanfare, have made our lives richer. They choose the music and we hear their stories… music with meaning. Hosted by award-winning broadcaster Terry Herd, “Into the Blue” is the longest-running syndicated bluegrass program ever. He interviews some of the biggest names in bluegrass and plays a mix of timeless bluegrass classics and new breakthrough artists. 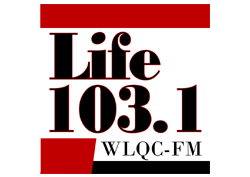 Buddy Michaels, one of the most popular Bluegrass DJs in the Southeast, is now on WLHC-FM Life 103.1 Saturday mornings from 7-9 AM with his radio show “Hometown Festival.” The show features traditional and contemporary Bluegrass, including local Carolina talent. Tommy Edwards, lead singer in the “Bluegrass Experience,” hosts this two-hour show full of regional bluegrass musicians. You’ll hear the Bluegrass Calendar of Events, as well as musical tidbits and facts about that network of bluegrass artists and their current and former bands and bandmates that is Bluegrass. Mike Flynn knew from the time he was a teenager that broadcasting was the career for him, and he was able to start distributing his show, the Folk Sampler, in 1982. Every week you’ll hear a mix of traditional music, folk, bluegrass, and blues focusing on a weekly theme that has covered topics ranging from holidays to trains to dancing. Music that we hope inspires and encourages. Traditional hymns, contemporary praise songs, both instrumental and vocal . . . music that speaks to the heart and stirs the soul. The primary mission of Ravi Zacharias International Ministries is to support, expand, and enhance the preaching, teaching, and vision of Ravi Zacharias. Distinctive in its strong evangelistic and apologetic foundation, it is intended to touch both the heart and the intellect of the thinkers and opinion-makers of society with the truth of the gospel of Jesus Christ. This is a fifteen-minute weekly broadcast from a non-partisan, non-profit organization serving to promote research and education on public policy issues that affect the family.